"Movember" is an increasingly popular campaign to raise awareness and funding to combat men's health issues. It encourages men to create "Mo Bros," fundraising groups to raise donations for research and support programs for men with prostate and testicular cancer as well as mental health challenges. • Choose an appropriate time to grow facial hair to avoid embarrassing stares during the early, awkward growth stage. Take a long weekend, or even a week if you must, to get a good "growing" start. • If you want to grow a mustache, try growing a beard first. It's less intimidating and will let you decide exactly what style of mustache suits your face. • Get the right tools, including a mirror, comb and a pair of beard-trim scissors for touch-ups. • Use wax or pomade to style your mustache and give it staying power. • If you want a more difficult-to-maintain mustache, or just decide you want to keep it beyond Movember, consult an experienced barber or stylist for tips and touch-ups. For men looking to "shave goodbye" to their 'staches at November's end, Harry's partnered with barbershops and boutiques across the country to establish a new holiday, "National Shave Day," in conjunction with the month-long Movember campaign. 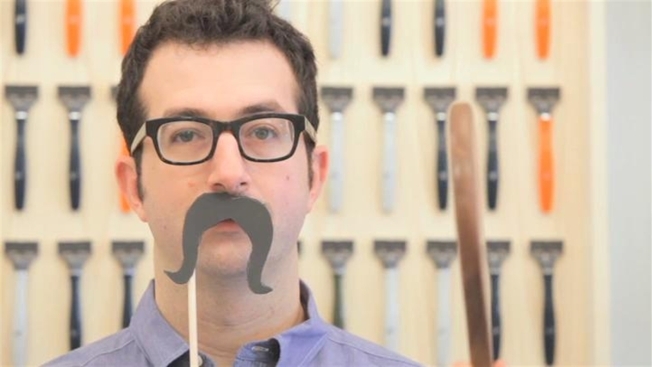 Partner barbershops across the country will give out free mustache shaves on Dec. 1. Leading up to the day, participants are encouraged to register on their website to take a pledge and show proof of participation in Movember. The first 1,000 registered participants will also receive a free Harry's brand razor. Movember began in 2003 in Melbourne, Australia. In 2012, 1.1 million "Mo Bros" and "Mo Sistas" worldwide raised $147 million for men's health causes. Globally, three million participants have raised more than $446 million to date, according to the Movember website. This year, Al Roker and Matt Lauer are among the celebrities taking part in Movember. According to the American Cancer Society, about 1 out of every 6 men will be diagnosed with prostate cancer during his lifetime. Prostate cancer is the second leading cause of cancer death in American men, behind lung cancer.